I have never been one to get into politics, but with current times it’s hard not to. You really have to wonder if there are higher powers pulling strings, and if so, what are they thinking right now? Now collecting the first half dozen issues, the Cryptocracy trade looks further into a world where that is the case. Coming of age isn’t easy for a homeless orphan girl. 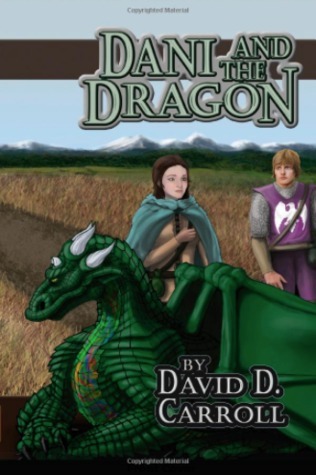 But when Mages, Kings, and Dragons all want to control her destiny, she must uncover her past to find her future. I’m not going to lie to you. This book has been sitting on my shelf for far too long. That’s what happens when you fall apart and have to put yourself back together. Things get set aside for far too long…but in some ways, it makes them that much more awesome when you pick them up again. An untested British crew inadvertently commands an unconventional Cromwell tank into France while hunted by a hardened German Panzer unit. As far as war history goes, there’s always been a fascination more often with World War II. There are so many components that were involved, one of which in particular were tank crews. In the World of Tanks volume that collects the five book series we’ll see what it may have been like for one of these crews. Welcome back to Dave’s continued journey down the modern DC Comics rabbit hole. If you missed my review on issue #1 of Supersons I started with pointing out that I am not normally a DC Comics reader. While I would say my knowledge is above average, it is mostly from other forms of media and not strictly current. The prologue for issue #2 starts similarly to issue #1, in the same fake house with the same family, but instead of insisting on group hugs, the teenage son is insisting they die. Also, there are three of him and he now calls himself Kid Amazo. It is 1895. Prince Dracula has ruled Great Britain for ten years, spreading vampirism through every level of society. On the eve of Dracula’s Jubilee, radical forces gather to oppose the tyrant. Kate Reed, vampire journalist and free-thinker, takes a seat on the revolutionary Council of Seven Days, though she learns that the anarchist group harbours a traitor in its midst. The Grey Men, Dracula’s dreaded secret police, have been ordered to quash all resistance to the rule of the arch-vampire. With intrigue on all sides, the scene is set for an explosive addition to the Anno Dracula series.